Planetary Science is the study of the nature, formation and evolution of planets and other nonstellar celestial bodies, including dwarf planets, satellites, asteroids and comets. The Apollo lunar landings and robotic planetary missions have revolutionized the field by enabling comparative planetology, in which researchers compare and contrast the geological, physical, and chemical processes observed on Earth with those observed on the other terrestrial planets and moons. 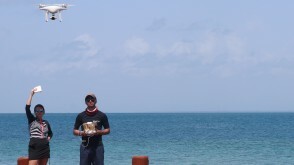 The interdisciplinary Planetary Science Major is rooted in courses that cover central geoscience processes and techniques, and encompasses a broad scientific approach including astronomy, physics and chemistry. Students undertake focused, in-depth study of planets and other small celestial bodies through directed readings and independent research. 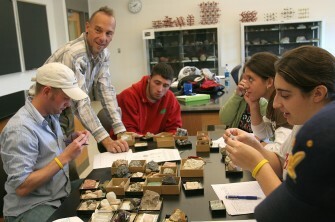 The major requires 13 units, including classes in: Geology, Geography, Astronomy, Chemistry, and Physics. We emphasize intellectual curiosity, creativity, initiative, and synthesis. 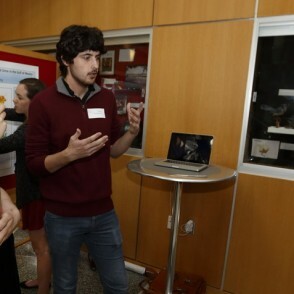 OWU provides opportunities, including Theory-to-Practice Grants and Summer Science Research, for you to work with a faculty mentor and explore an existing problem or develop a totally new avenue of exploration. Beau Srinivasan ’18 used stereo pairs and specialized programs to create a three-dimensional model of the surface of Mars. By translating raw data into a more digestible and visual form, Srinivasan aimed to elucidate a deeper understanding of Martian hydrology. 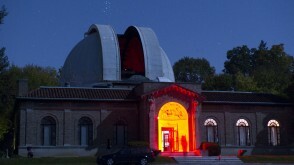 Advanced astronomical study is done at Ohio Wesleyan’s Perkins Observatory, which features a 32-inch reflecting telescope. 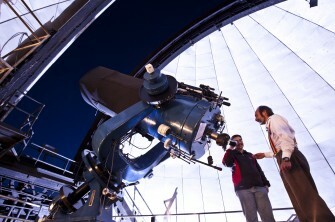 Also on campus is the Student Observatory, with its 9-1/2-inch refracting telescope. Recently College Rank rated Perkins number 15 out of the 35 best college observatories, and was the highest ranked among small-college observatories. OWU has a pressure Scanning Electron Microscope with energy dispersive x-ray and cryopreparation systems. The Petrographic Laboratory includes a research petrographic microscope with video camera and monitor and student petrographic and stereoscopic microscopes. 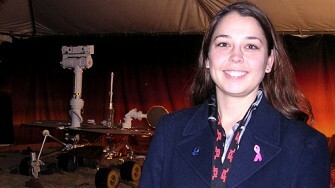 Karen is an Associate Research Scientist at the Planetary Science Institute in Tuscon, AZ. She majored in Geology and Physics at OWU. Students who study planetary science have a variety of career opportunities available to them, including working for NASA or one of its subcontractors following graduate school. Planetary science majors may find it beneficial to pick up additional geology classes to expand their career opportunities to include those that focus on the understanding and application of geology to the areas of resource exploration and environmental issues.